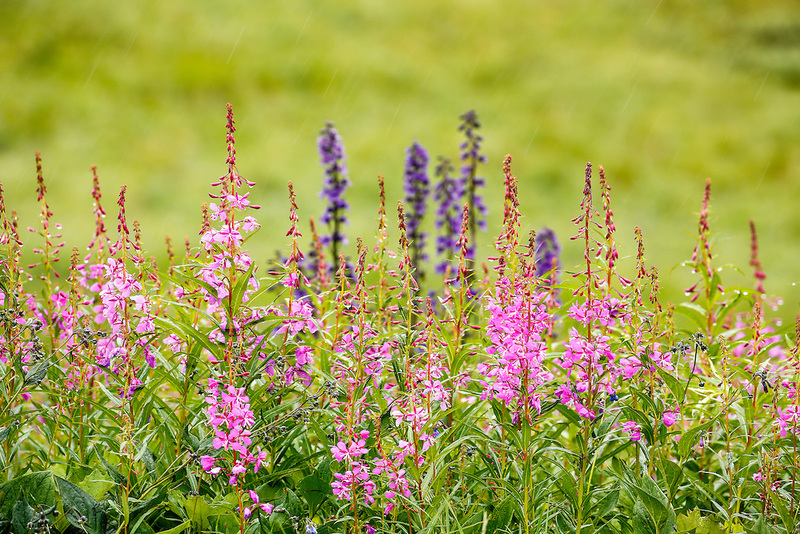 Common Fireweed (Epilobium augustifolium) and Larkspur (Delphinium glaucum) line the Denali Park Road at Sable Pass in Denali National Park in Southcentral Alaska. Summer. Afternoon.